Argentinian artist Edgardo Antonio VIGO (1928–1997) lived most of his life in the small city of La Plata, a few kilometres away from Buenos Aries. The son of a carpenter, Vigo enrolled in the Escuela Superior de Bellas Artes of La Plata in 1950, graduating with a degree in drawing. After his graduation, Vigo travelled to Europe where he came in contact with the international avant-garde for the first time thanks to Venezuelan artist Jesùs-Rafael Soto. Despite never leaving La Plata, he is recognised internationally as the founder of mail art in Argentina. Touching on the fields of performance, sculpture, mail art, and land art, he was at the epicentre of a truly international network of artists and poets. Vigo’s commitment to radical forms of poetry manifested itself in the periodicals Diagonal Cero and Revista Hexa’gono, of which he was the editor. They became an important vehicle for social and political critique in Argentina. Using humour and irony as the means to recount the everyday life of 'the South American ghetto', and the international mail network as his form of communication, Vigo quietly revolutionised the way in which artists spread their work and message in Latin America. Upon Vigo’s return to Argentina, neither his early sculptures nor his ‘useless machines’ fell into the favour of the public and of local critics. As an employee of La Plata’s Ministry of Justice, Vigo developed his practice outside of the established circuits of artistic production and presentation. It was only in 1991, when collector Jeorge Helft organised his first retrospective at Fundaciòn San Telmo, Buenos Aires, that Vigo’s oeuvre was first presented in a public institution. Vigo’s inclusion in Argentina’s pavilion for the 1994 San Paulo Biennial, in Brazil, finally recognized his strategic position in the whirling topographies of Latin American conceptual art. 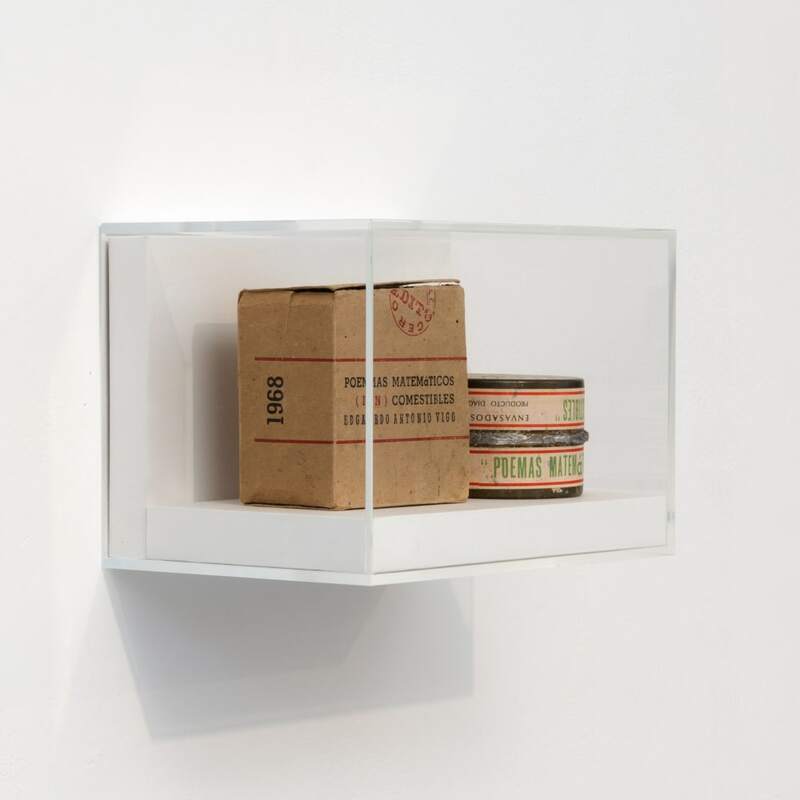 Recent retrospectives include: ‘The Unmaker of Objects: Edgardo Antonio Vigo's Marginal Media’, The Museum of Modern Art, New York (2014), and ‘Edgardo Antonio Vigo: Works 1953 – 1997’, Museo de Arte Moderna de Buenos Aires, Buenos Aires, Argentina (2016).